Anzac Day is our chance to pause and remember all the men and women who have served, fought and died in defence of this great country. Please take the opportunity on April 25 to attend a service and pay respects to all our service personnel, past and present, who have given so much for the freedom we all enjoy today. I've compiled a list of services being held throughout the Lake Macquarie electorate, so you can find one close to you. Meanwhile, my annual Anzac Day commemorative booklet is now at the printers and will be delivered to all homes in the electorate from April 16. If you'd like extra copies, I'll have plenty in my Toronto electorate office. Lest we forget. 5.30am: Assemble in the car park near the boat ramps. 5.00am: Dawn service at Doyalson-Wyee Sub-branch Memorial. Breakfast afterwards at the RSL club. 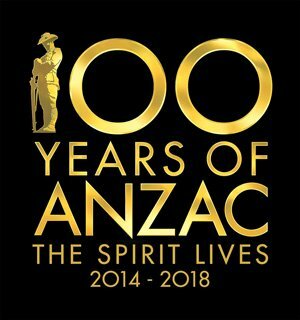 8.30am: March from Raw Challenge course, south along the Pacific Hwy, turn left into Wentworth Ave, then left into the RSL grounds, proceed to cenotaph for service. 9.00am: ANZAC Service at cenotaph. 8.30am: Form up for march at the top railway station car park, vehicles in parade to form up at the bus terminal. 9.00am: March to Morisset Country Club. 12.30pm: ANZAC Day remembrance service at the Flying Boat Memorial on the point overlooking Catalina Bay, adjacent to the Rathmines Memorial Bowling Club. March from noon. 9.00am: ANZAC service at Lake Macquarie Memorial Park, Ryhope. 6.00am: Dawn Service at the War Memorial in Goffet Park. Breakfast available afterwards for gold coin donation. 10.45am: Form up at Diggers Club for march to the War Memorial. Step off at 11.10am. 11.30am: ANZAC Service at the Goffet Park War Memorial. 5.30am: Dawn service at the War Memorial at Wangi Wangi RSL Club. 10.00am: March steps off at Puna Road for the War Memorial. Assemble and form-up at 9.30am. ANZAC service at the Memorial will follow march.